This year marked the fifth and final Big Drew's Big Ride in support of the ALS Society of Alberta. Event organizer, Jim Robinson, created this event with his best friend Drew, after Drew was diagnosed with ALS. 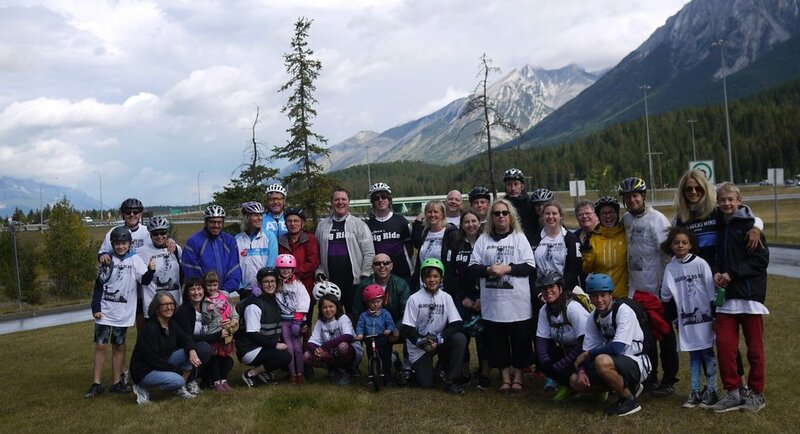 Five years later, this event has raised over $58,000 for ALS, has brought over 100 riders together of all ages that have clocked thousands of kilometers along the Legacy Trail. Thank you Jim, for your incredible dedication over the past five years. What a beautiful tribute to a beautiful friendship.